This CT shows two well-defined thin-walled formations of water attenuation in the mesentery. The smaller one has attenuation of fat in its center as well. The last pseudocyst is located in the body of pancreas. 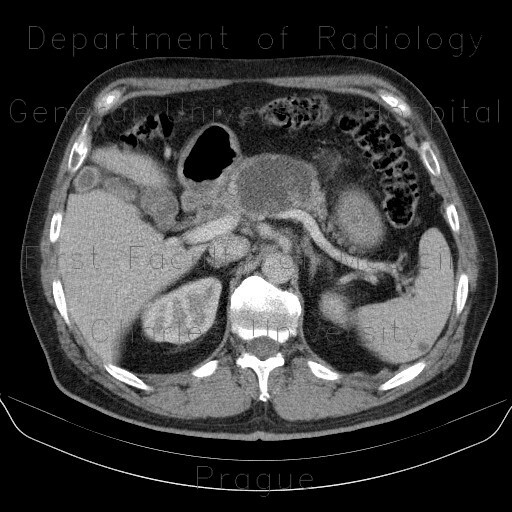 In a patient with a history of pancreatitis like in this case, these represent pseudocysts, whereas in another patient a diagnosis of mucinous metastatic carcinoma would be an alternative explanation.